James & Oliver !!. . 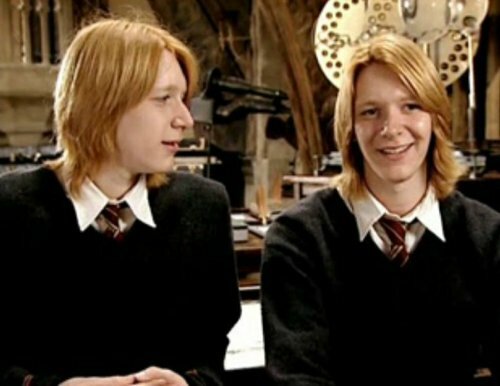 HD Wallpaper and background images in the fred e george weasley club tagged: weasley twins fred and george harry potter james & oliver phelps. This fred e george weasley photo contains traje de passeio and terno de negócio. There might also be bem vestido pessoa, terno, calças de terno, terninho, pessoa bem vestida, terno das calças, pantsuit, and terno de calça. They look better with shorter hair, personally. I like the long haired look on them. I think it suits them well. I loved the long hair! Better short totally, but damn they are HOT!! !